When you decide to have orthodontic treatment, you want to feel confident and comfortable with your choice of orthodontic providers. We are a leading provider of orthodontics in Florida, and we welcome you to our family of patients. Using a patient-centered approach, Dr. Dau helps you understand your orthodontic needs as well as your treatment options. 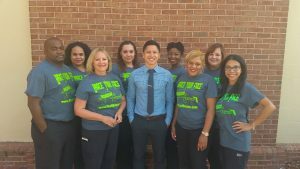 Our staff provides you and your family with excellent customer service, from your first appointment to your last, and is always available to answer your questions. We offer silver, gold (24ct gold plated), clear and ceramic braces, as well as Invisalign®, at our Brandon, Florida office.